+Nuby UK is an affordable baby brand which I noticed my local +Poundworld had started selling. 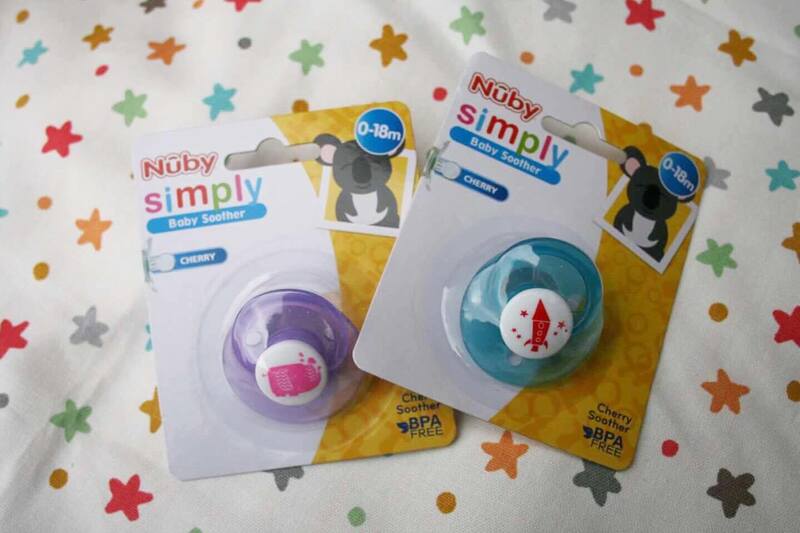 We use Nuby dummies anyway with R which I believe are good quality dummies so I thought I would treat myself to a few other things that they sell, especially at £1 each! Firstly, I decided to buy a Snack Keeper for L. I've seen these before in other shops and have always thought they were a good idea however never noticed them at the time I needed them so although I noted them, I forgot about them when the time came. 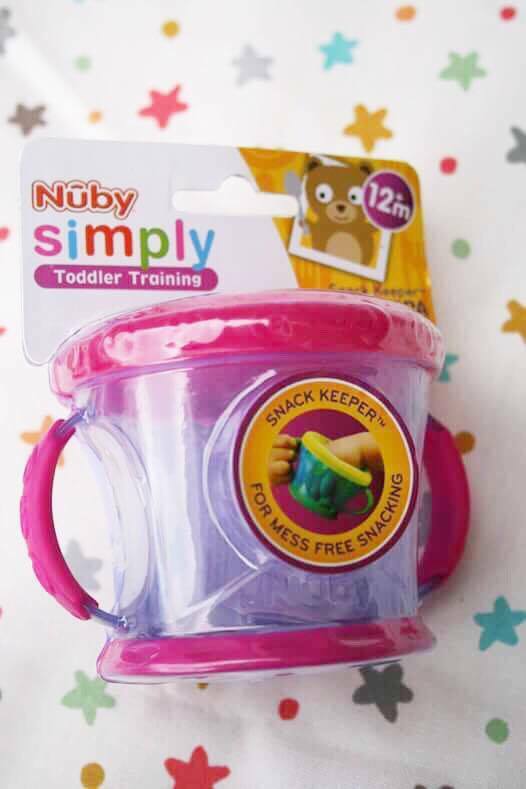 The Nuby Simple Toddler Training Snack Keeper is for age 12m+ and came in pink and purple or blue and yellow. I bought this for L so she could have cut up fruit kept in them while she wanders around the living room, hopefully saving me finding slices of apple and orange segments trampled into the carpet. She really liked the idea of this bowl although did struggle with getting her hand into the lid and ended up taking the lid off the bowl which I thought did kind of defeat the whole purpose of the bowl for us unfortunately. The fact the bowl has handles was a bonus so even though she removed the lid, the fruit seemed to stay in the bowl as she didn't spill it while walking. Overall, I do really like this bowl and it has helped with snack times and spillages with the toddler. Secondly, I bought the Toddler Training Fork and Spoon. 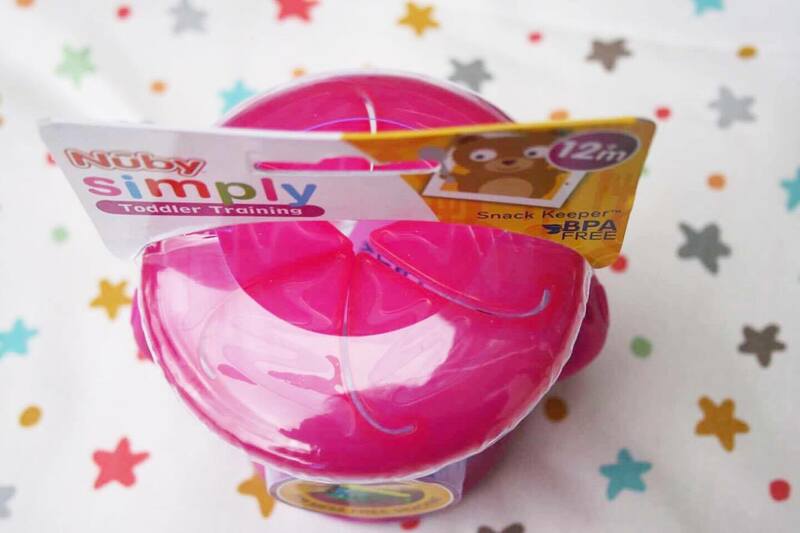 These both have a deep curved handle making it easier for toddlers to feed themselves. Again, these were bought for L who is currently 19 month old and still refusing to use cutlery as fingers is so much easier! I gave her the spoon to use to feed herself a yogurt. This worked really well as she could easily get the spoon to her mouth without the struggle of a long straight spoon having an awkward angle. With them being chunky short handles, it worked out perfectly for her to feed herself the yogurt with little spillage. Thirdly, I bought these dummies. As I said above, R uses Nuby dummies so when I saw these in Poundworld I had to buy a couple. The teat is exactly the same as the Nuby dummies we buy from +Boots UK however these are circular and unfortunately, that makes them a bit more awkward to give to a 7 month old. She took to the dummies fine however whenever she brought her hands to her face, she knocked the dummy from her mouth as it is quite bulky and doesn't lay flat to her face. 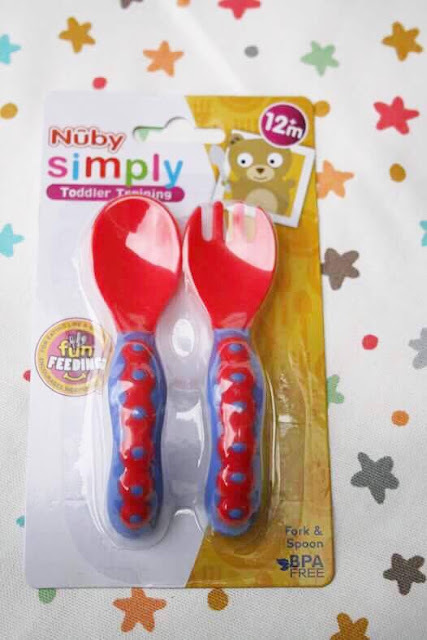 Overall, these dummies are cheaper than the standard 2 pack however I will only use these as emergencies as they were a lot more hassle than they were worth with R.
Finally, Nuby have these extremely cute Baby Led Feeding Catch All Bibs which are absolutely amazing! I have had my share of plastic catch bibs and these are by far the best I have owned. 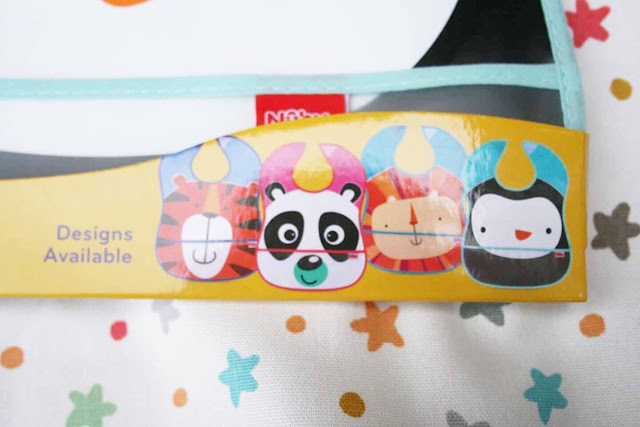 They are a thick plastic making them more durable, they are really easy to wipe down and they have 4 adorable designs - Tiger, Panda, Lion and Penguin. Overall, I am most pleased with this bargain purchase and will definitely buy more. 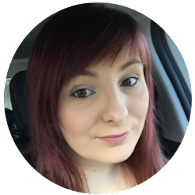 Hopefully, next time I go into my local Poundworld they have the other 2 designs I am missing! 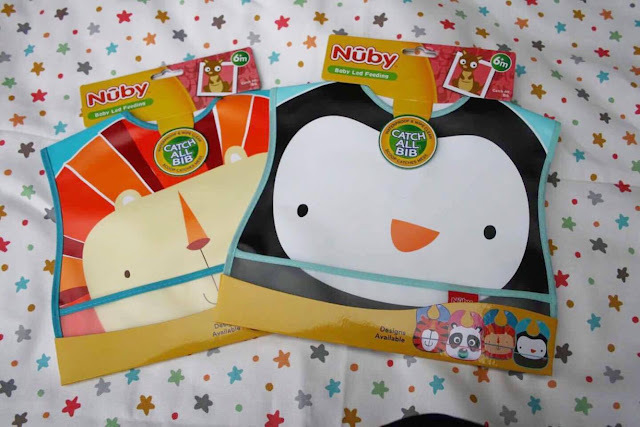 Nuby is an affordable baby brand which I will definitely buy more of.